"Good brewers conspire; they don't collaborate," says Big Spruce Brewing's founder Jeremy White. 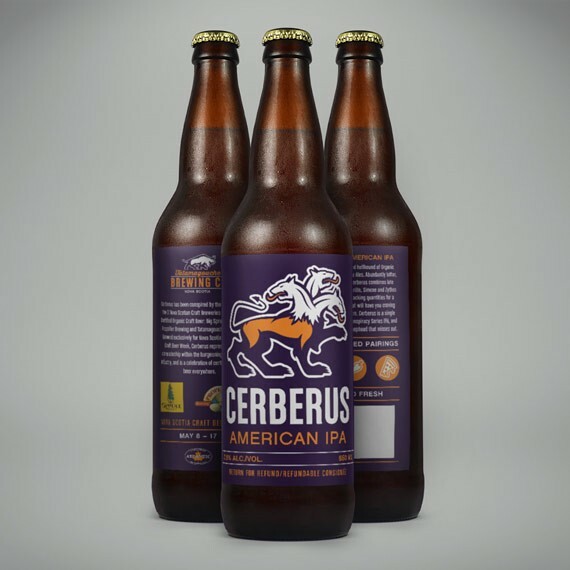 This Saturday, May 9, signals the release of Cerberus Organic American IPA. The limited-run, one-off "conspiracy" between Big Spruce, Tatamagouche and Propeller breweries commemorates the inaugural Nova Scotia Craft Beer Week (which runs May 8-17). But it's also a celebration of organic beer, which White has promoted passionately since launching the province's first certified organic brewery in Nyanza, Cape Breton, two years ago. The idea for the Nova Scotia-wide conspiracy is the result of ongoing talks between White and Propeller's Andrew Cooper. "I've been good chums with Andrew for awhile," he explains. "I've always been bothering him [for Big Spruce] to do something in conjunction with Propeller." Adds Cooper, "It's something that's really been brewing for at least a year or two. It's been hard not to talk about it." 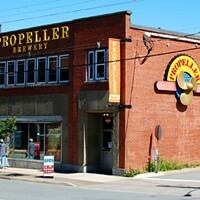 The deal was sealed last year, when Propeller released its first organic ale and Nova Scotia's second certified organic brewery, Tatamagouche Brewing, opened its doors. For White, Craft Beer Week seemed "the perfect opportunity to bring to fruition something we've thought about for a long, long time." And so, the three-headed hellhound was formed: Cerberus is a big west coast American-style IPA with late-addition hops, a seven percent "punch in the face." It's also a tasty metaphor for how drastically Nova Scotia's brewscape has changed over the past few years. And White is particularly proud of the movement toward sustainable practices: "I have to say, as the guy that kind of took the jump first, to now be involved a short two years later in a major beer release with another entirely certified organic brewery and Nova Scotia's largest craft brewery is, for me, really, really satisfying." There's more to come. "This release is just a little snippet of what this industry is: a bunch of likeminded, creative individuals getting a chance to really enjoy what they do," he says, "and create a product that a lot of people can get behind." Cerberus launches at Stillwell, and all three breweries, May 9—get it before it's banished back to the Underworld.